Wates Construction currently delivering MEPC’s Wellington Place in Leeds is set to grow its team on site with the roll out of a pilot employment scheme to help tackle homelessness. Wates Construction, currently delivering MEPC’s Wellington Place in Leeds is set to grow its team on site with the roll out of a pilot employment scheme to help tackle homelessness. The announcement follows the launch of Wates and MEPC’s joint employment initiative at Wellington Place. This has seen the two organisations collaborate with Engage Leeds to provide employment for some of society’s most vulnerable and at-risk individuals. 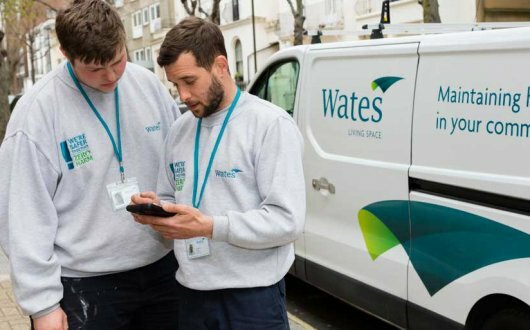 Earlier this year, the Wates team welcomed two new recruits to the site team through Engage Leeds and is now offering full time site-based work to a third individual who has no permanent abode or who is at risk of losing their home. Paul Dodsworth, Managing Director, Wates Construction North, commented: “Rising homelessness is a very serious issue and one that we are keen to help address. When we launched our collaboration with MEPC and Engage Leeds, we did so with a determination to use our presence in Leeds to create opportunities for some of society’s most vulnerable people. Wates Construction is currently on site building the latest phase of MEPC’s Wellington Place, which includes building 7 and 8, which is set to become a new Government hub for the region, and building 4 where work commenced last month.